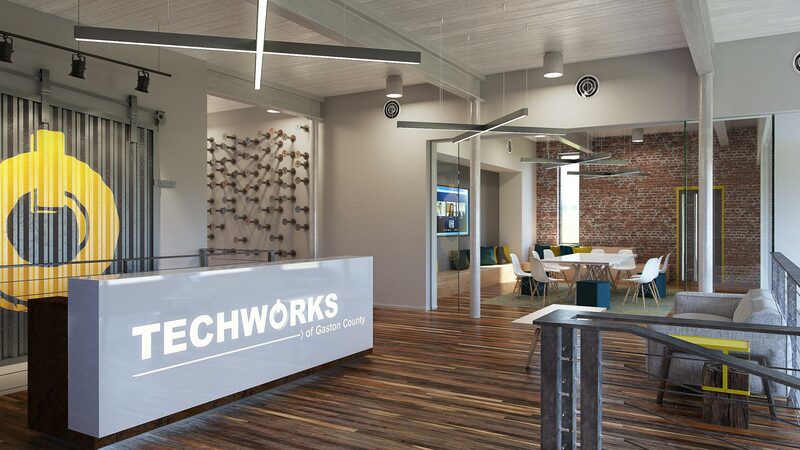 TechWorks is a start-up incubator company that provides a functional learning environment for gritty entrepreneurs who have a drive for growth and innovation. 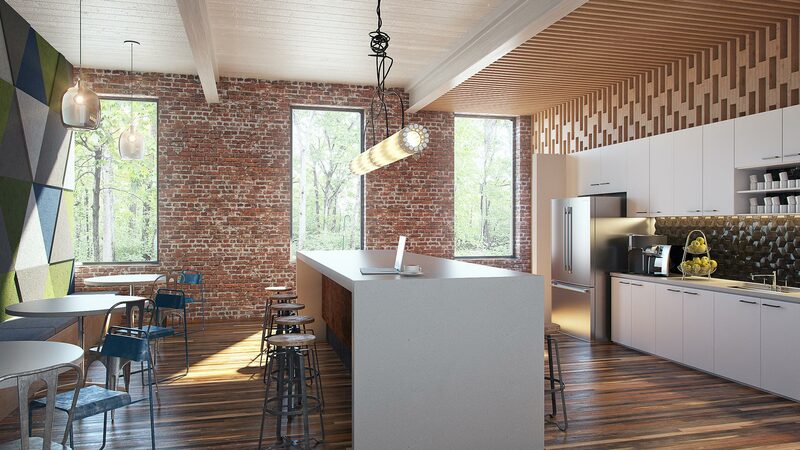 Sustainability is a big part of their platform, so they chose to rehab a historic industrial building in the heart of Belmont, NC. The interior program includes several co-working/shared offices, conference rooms, as well as a collaborative station in the center of the plan. 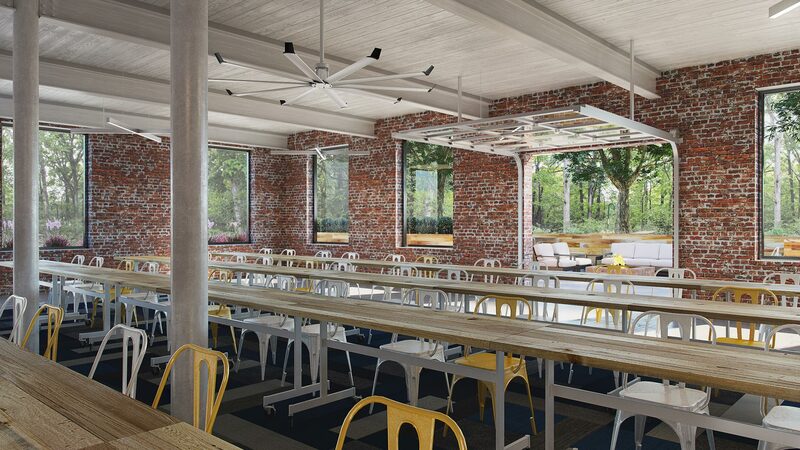 A large break room is included with natural light and communal seating to facilitate cross-pollination of new ideas. Redline used the natural historic character of the building with rust wood flooring, corrugated metal sliding barn doors, weathered steel railings, exposed brick walls, exposed ceilings and floating LED lighting. A multipurpose room has large windows and a garage door that opens the entire space to the exterior patio.